Status lights are located on the front and back panels of Xserve RAID. In addition, there are status lights on the host adapter card. The system's front panel status lights are shown in the figure and table below. The system's back panel status lights are shown in the figure below. General back panel status lights are listed in Table 3. Power supply status lights are in Table 4. See "Power Supply Status Lights"
The host adapter card's status lights are shown in the figure and table below. How to test xserve raid power supply? Where can i get an ac power status light .? 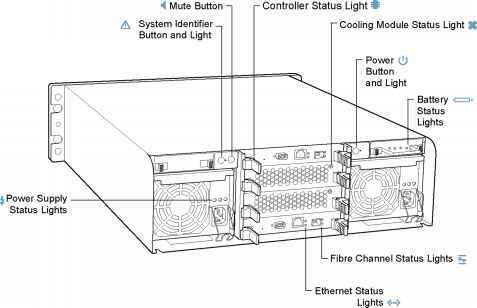 What are the lights on the front of an xserver? What does the status light indicator on the back of the panel indicate? What are the status light codes on the front of a macbook pro?